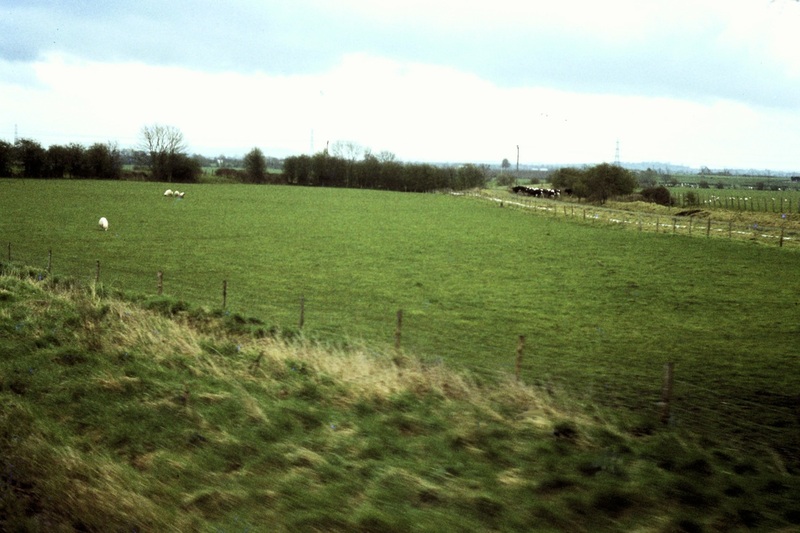 Bradford Junction Signal Box from the window of a HST which was from London then via Chippenham, Westbury and Salisbury to Penzance. 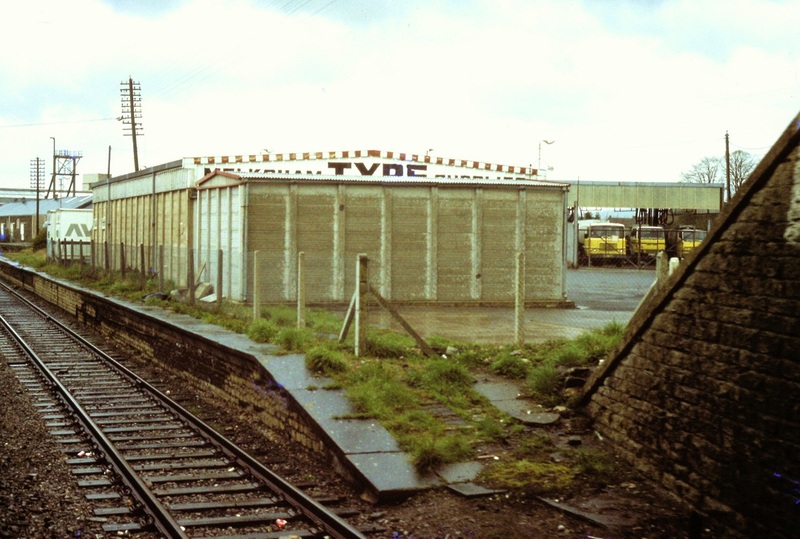 24th April 1983 Copyright Roger Winnen - N.B The box closed 17th March 1990 six days after the singling of Bradford South Junction. 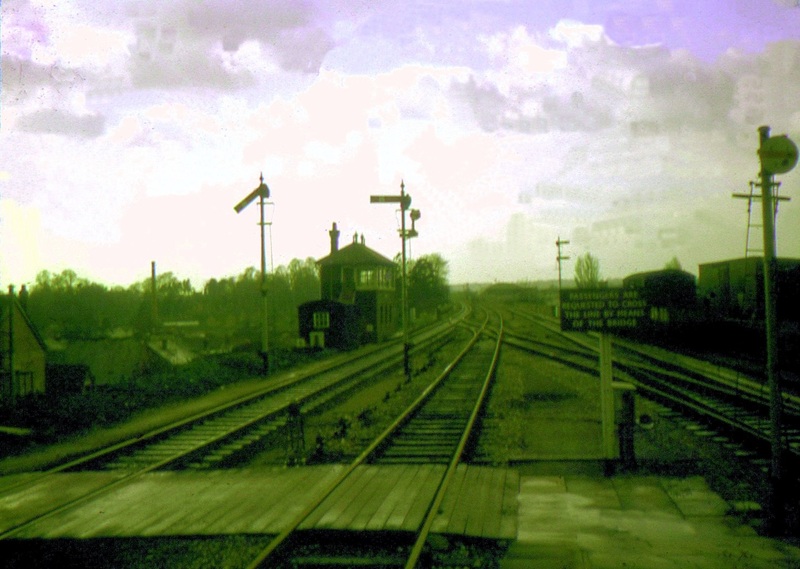 Was the junction for a line through to Devizes and Patney & Chirton which closed along with Holt on the 18th April 1966. 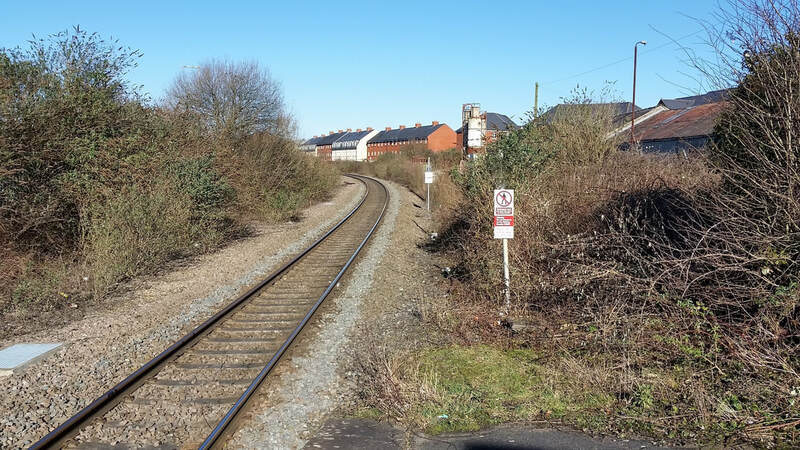 The site of Broughton Gifford Halt seen on the 10th March 2012 Copyright Guy Vincent The fence posts on the left mark the former pathway access to the halt. 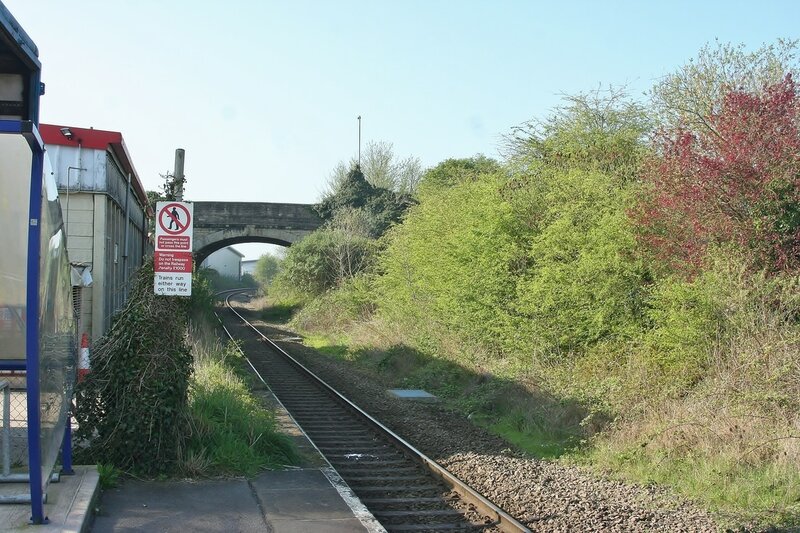 The station opened with the original section of the line between Thingley Junction and Westbury on 5th September 1848. 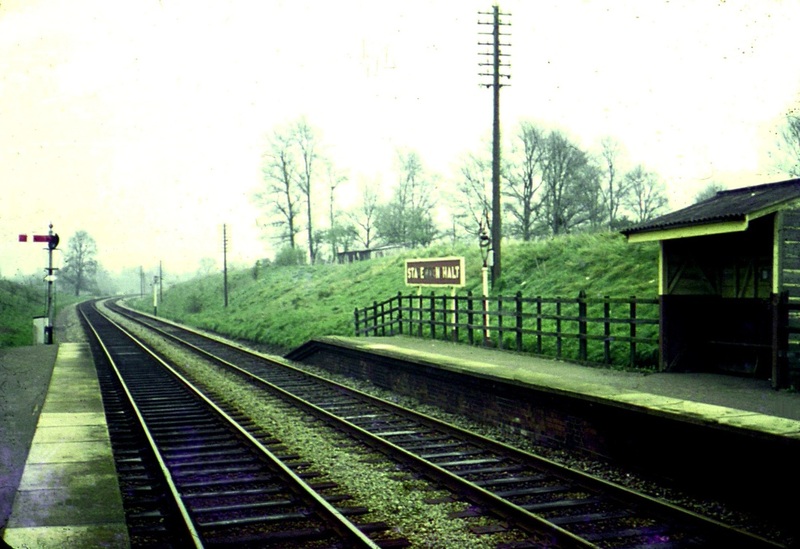 British Rail closed the station in 1966 but reopened it in 1985. 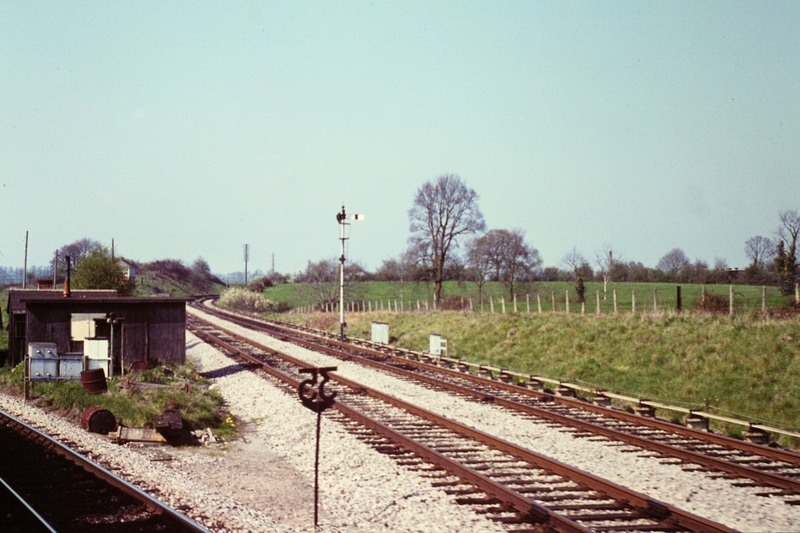 The station had a siding which gave access to the former Wiltshire United Dairies and creamery allowing access for milk trains. 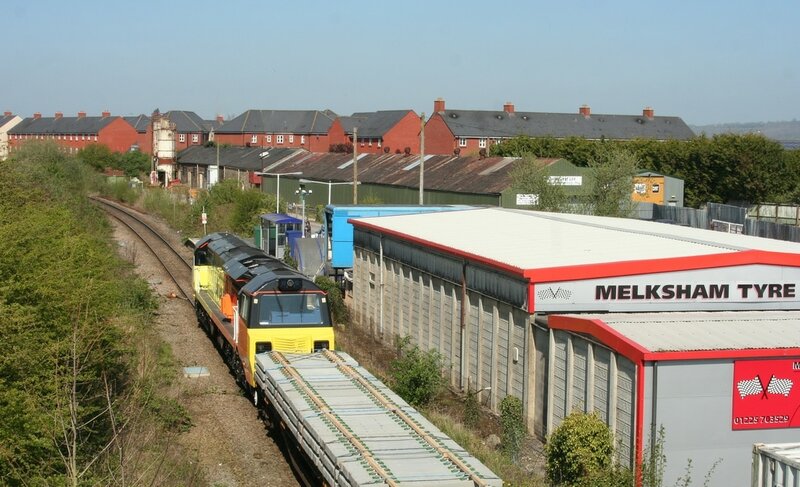 After its closure the dairy was converted into an industrial estate. 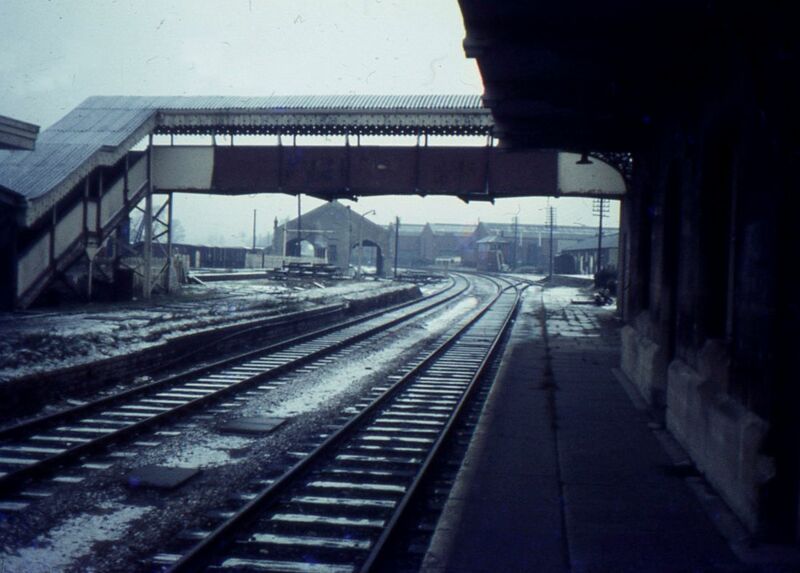 Melksham on a cold January day in 1968 Closed April 18th 1966. Copyright Keith Jenkin. 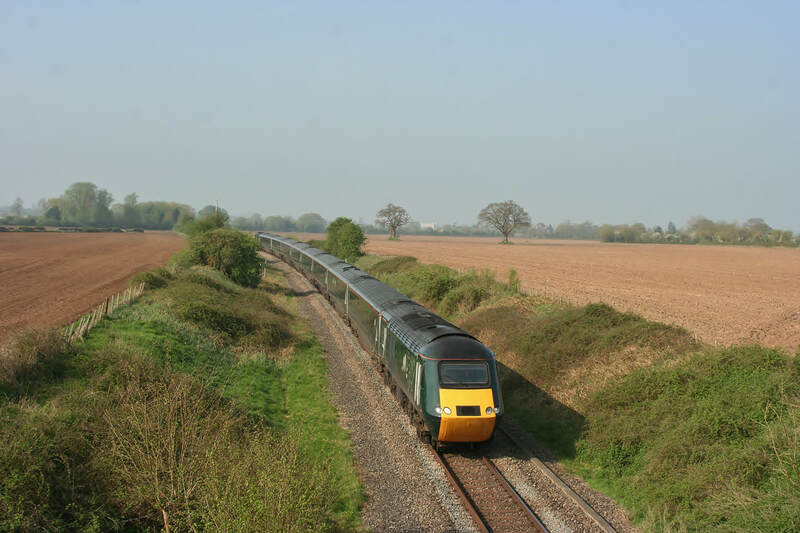 Additional note from Guy Vincent - many thanks - the former up track was retained as the running line with the former down line cut off beyond the A365 road bridge and slewed into the siding that used to serve the Wiltshire Farmers Ltd Grain silos. Another view on the same bitter day. 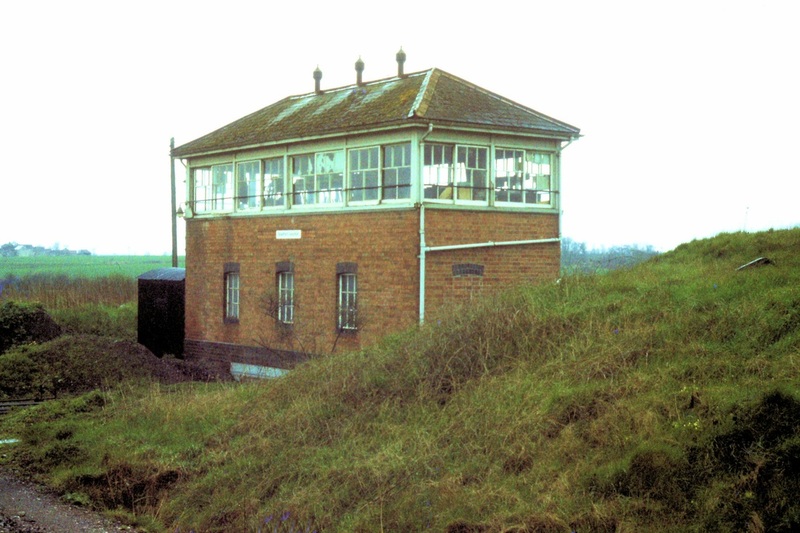 The signalbox which had opened in March 1903 closed 26th February 1967. 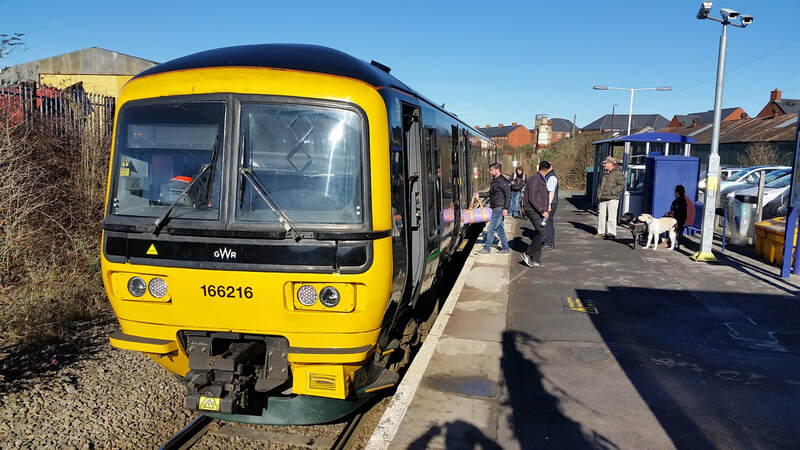 The opposite platform seems to have been 'attacked', whether it was by somebody after a few free slabs or official we'll never, of course, know. Copyright Keith Jenkin. 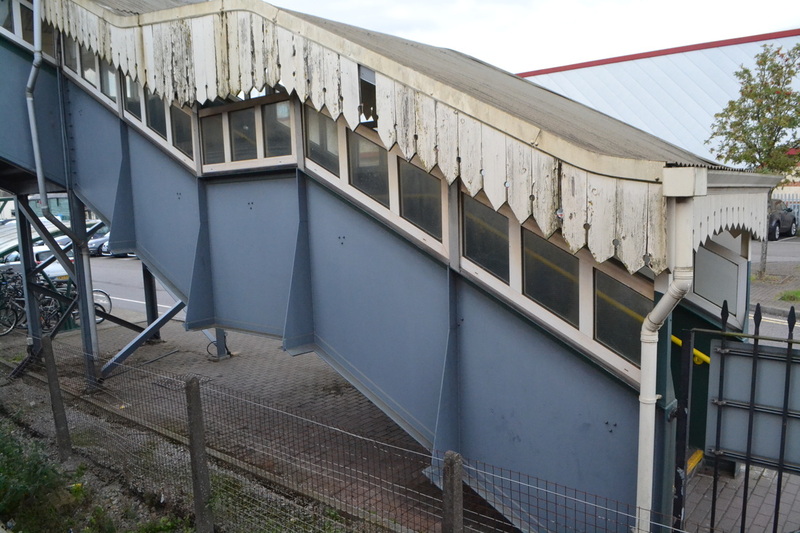 Also, haphazard and piecemeal demolition of the up platform face has already started but the running-in board frame and lighting apparatus are both still in place. 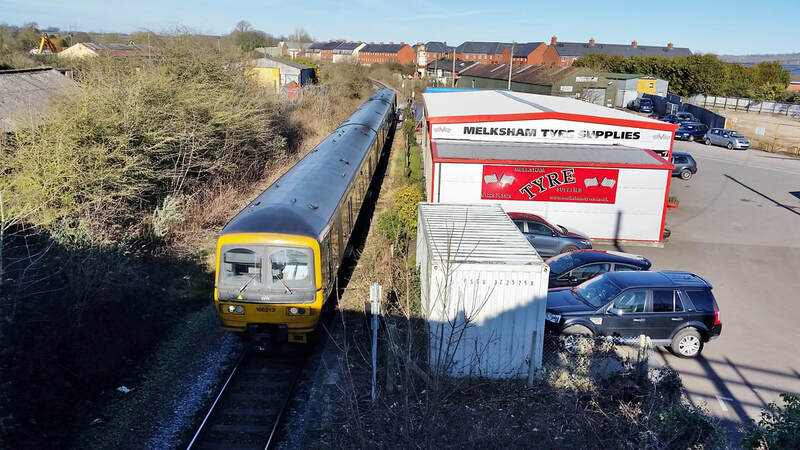 Additional notes supplied by Guy Vincent on the 9th April 2017. Reference the above, for comparison a picture taken from the same location 9th April 2017. Copyright Guy Vincent. 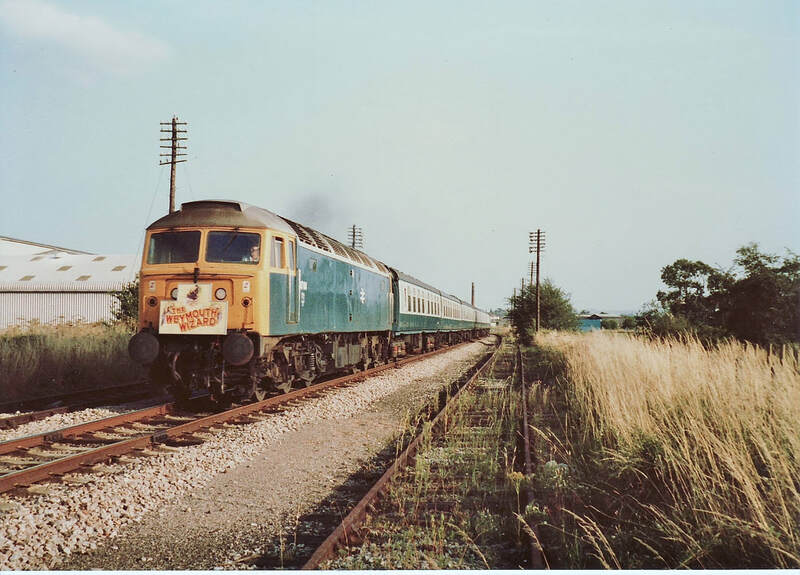 This view as 47114 approaches Melksham on Tuesday 19th July 1983 17. 14 with the Wey-Swindon 'Weymouth Wizard' . Headboard by Swindon Works Signwriter-Illustrator Ernie Hewlett. Picture Copyright Guy Vincent. 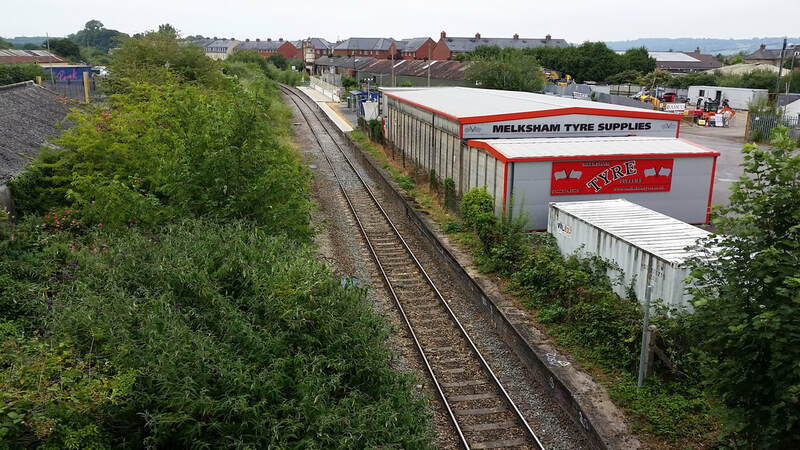 ​Three pictures showing the former GWR station at Melksham taken approximately 112 years apart. 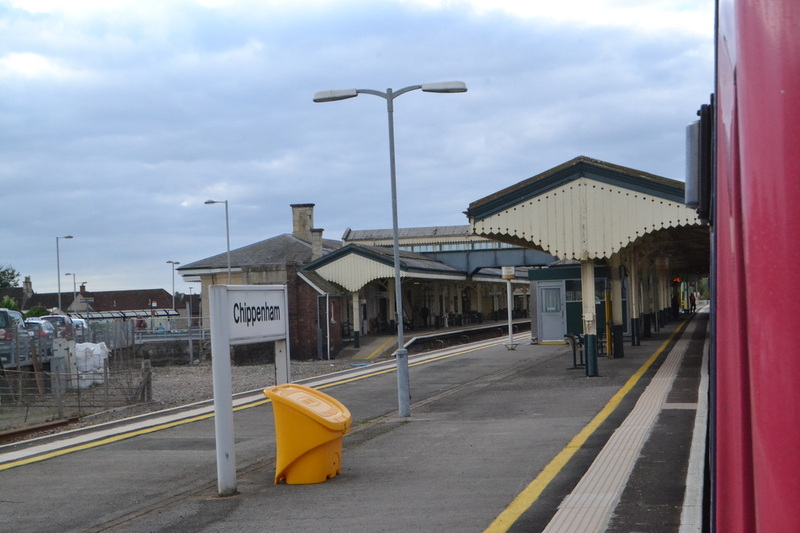 Picture 1 shows a busy scene with an 'up' passenger train standing at the Chippenham-bound platform in about 1905. 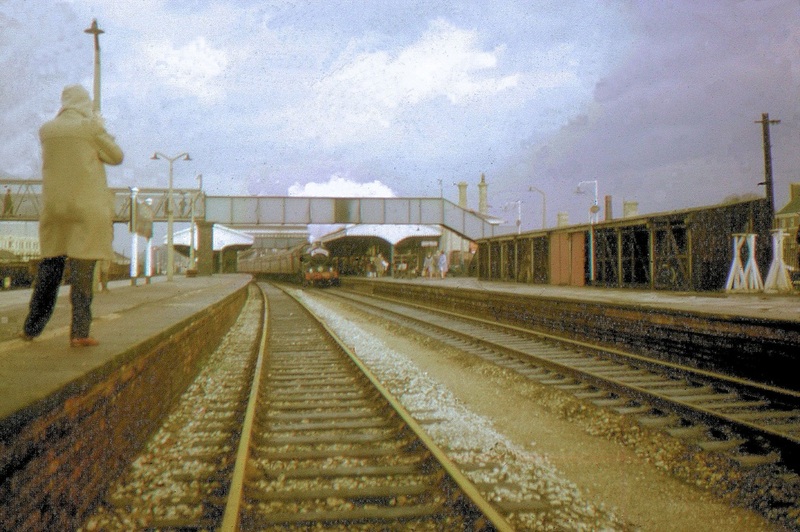 This platform (and the footbridge) was demolished along with all buildings in 1969-70 following closure of the station to passengers from April 18th 1966. 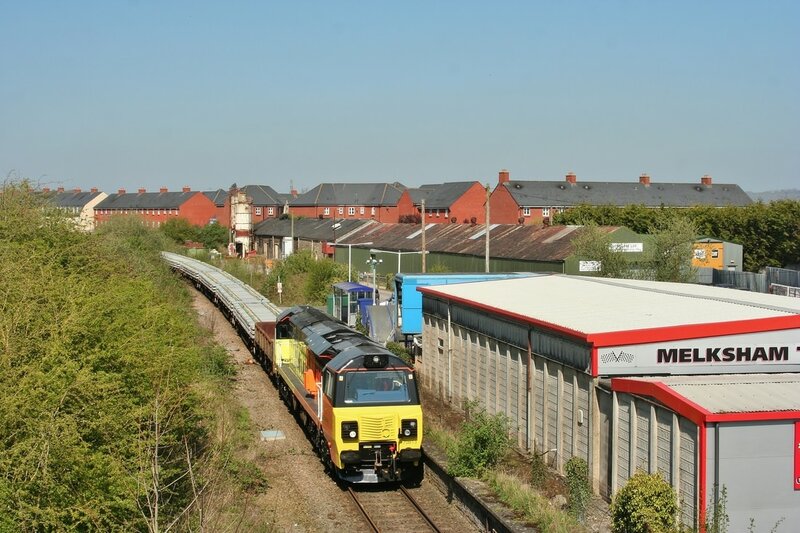 The train has a clerestory coach in it's formation and beyond the railway the tall chimney of Spencer's Engineering Works in Beanacre Road dominates the skyline. The firm moved here in 1903 from a much smaller site in the town and for several decades was a major local employer. 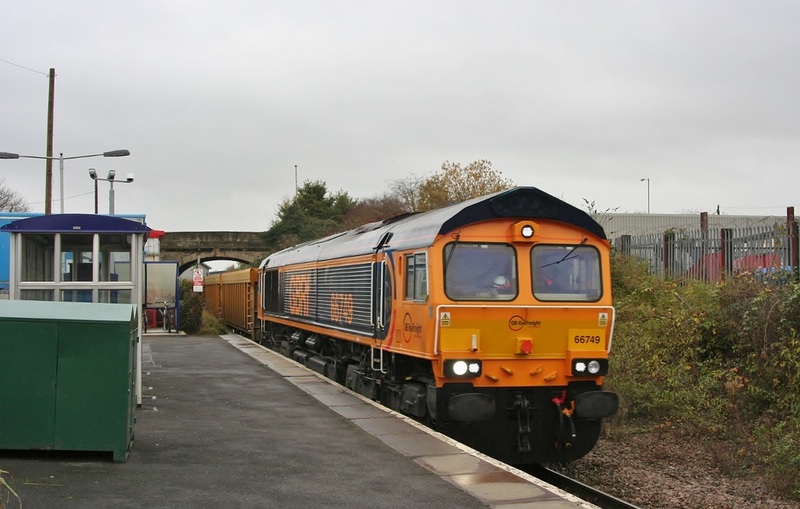 Their output included heavy engineering works such as girder bridges which were sent all over the world in kit form for on-site assembly. 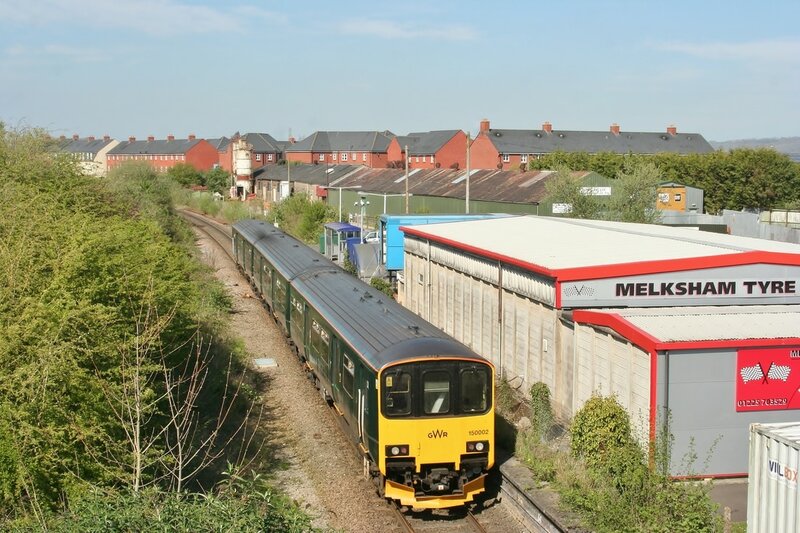 The company was taken over by the Elliot-Automation Group of Companies in 1962, later this became GEC who closed the Melksham factory in April 1988. 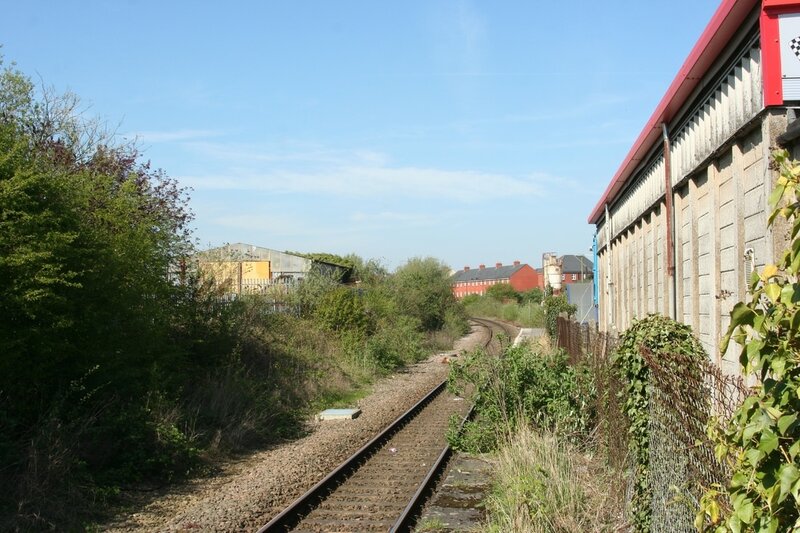 Much of the site was cleared and redeveloped as housing from 2003 as can be seen in picture 2. Guy Vincent Many thanks for this most interesting article and pictures. 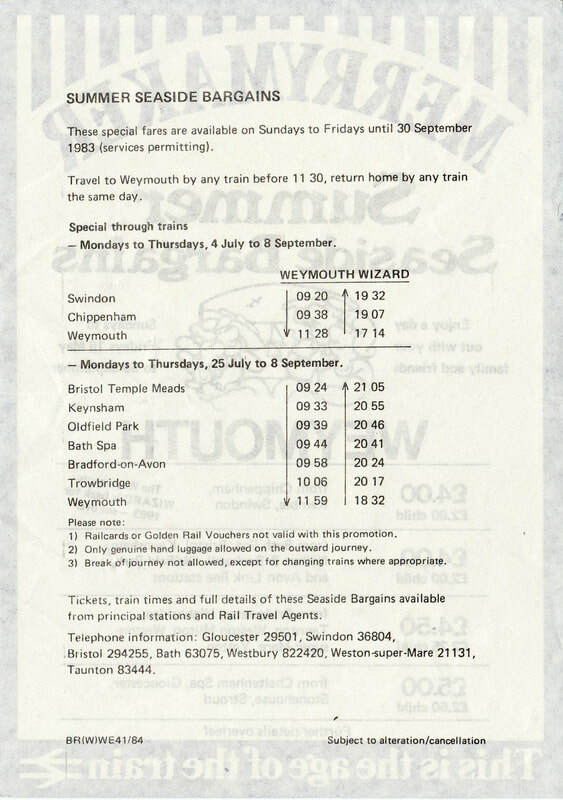 Clive Smith's mention of the Weymouth Wizard was of great interest as this working was one I tried to keep an eye on back in the early 80s. I have to confess that the Wikipedia article he mentioned was put on by me a while back, and is based on facts gathered at the time. 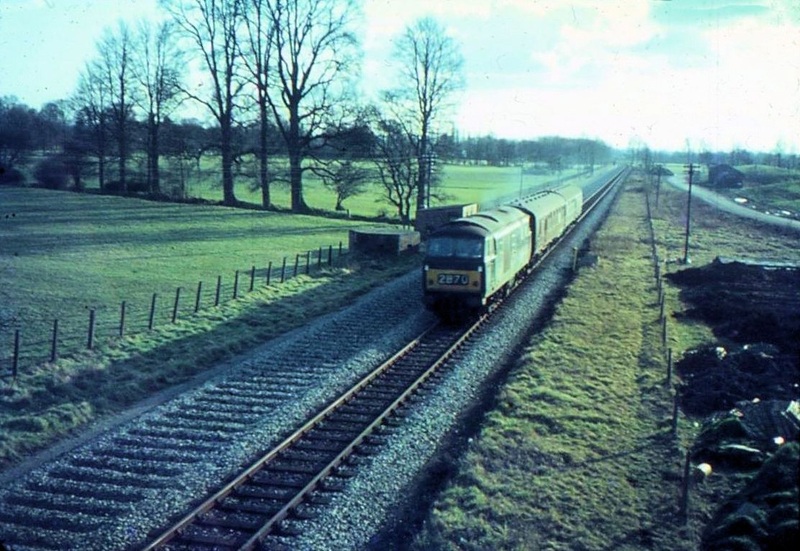 Motive power generally consisted of a class 47 either no-heat or ETH fitted, although class 31's appeared occasionally and on the odd day even a 37 could drop onto it. 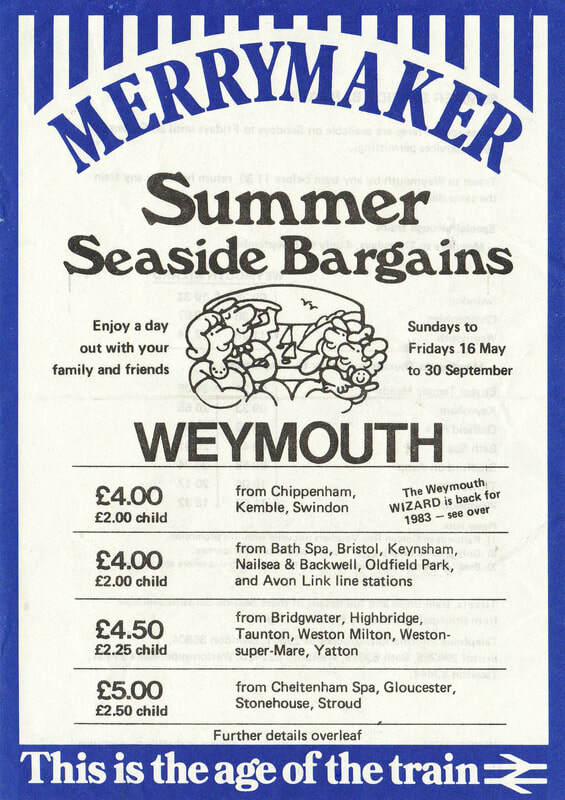 Besides the Swindon-Weymouth high summer working there was, from the early 1970s a Parson Street/Bristol Temple Meads-Weymouth out-and-back day tripper plus, in the early 80s a Swindon-Paignton working. 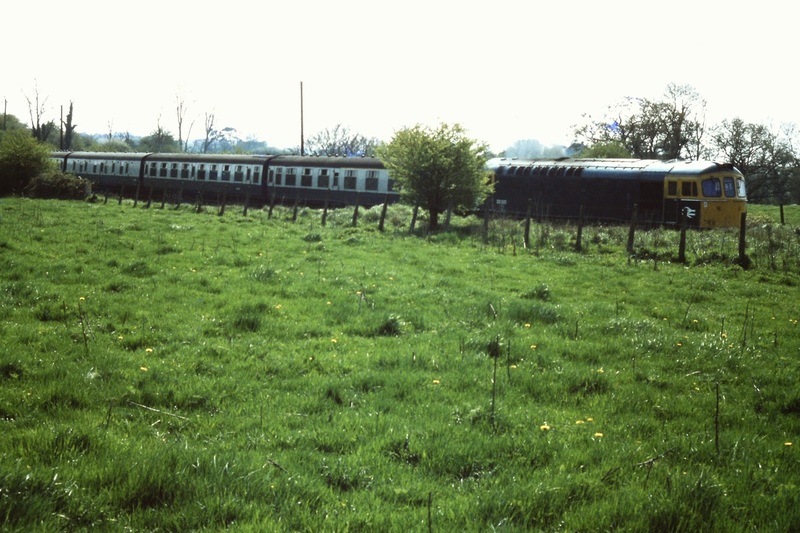 Mark 1 coaches from Bristol Malago Vale depot were normally used although it is possible that at times these were supplemented by stock from the Oxford or London divisions. 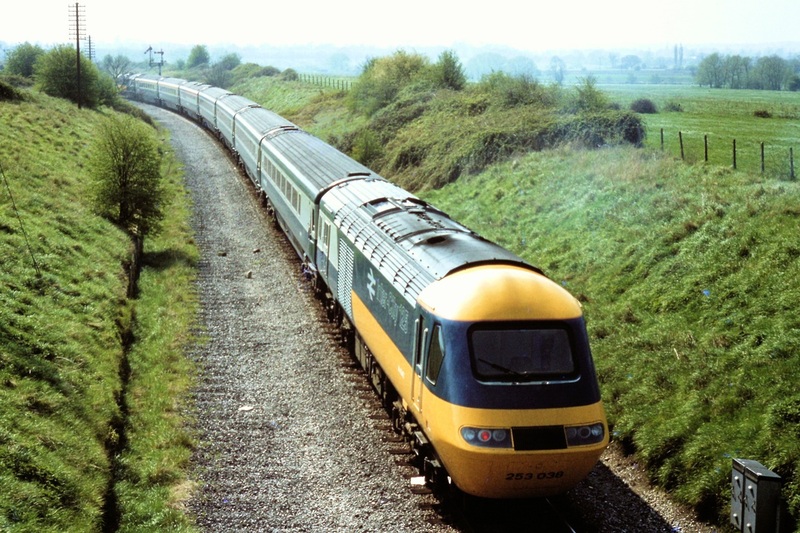 In the early 1980s BR was severely cash-strapped and economy and withdrawal of anything that was either not paying its way, or was in need of expenditure, was very much the order of the day. 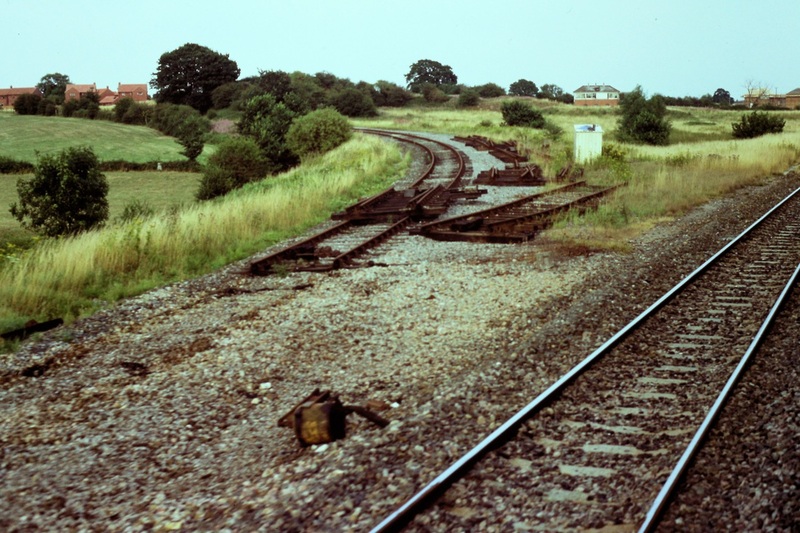 Witness the 'dequadrification' of Filton Bank in 1984 due to the condition of Stapleton Road viaduct! 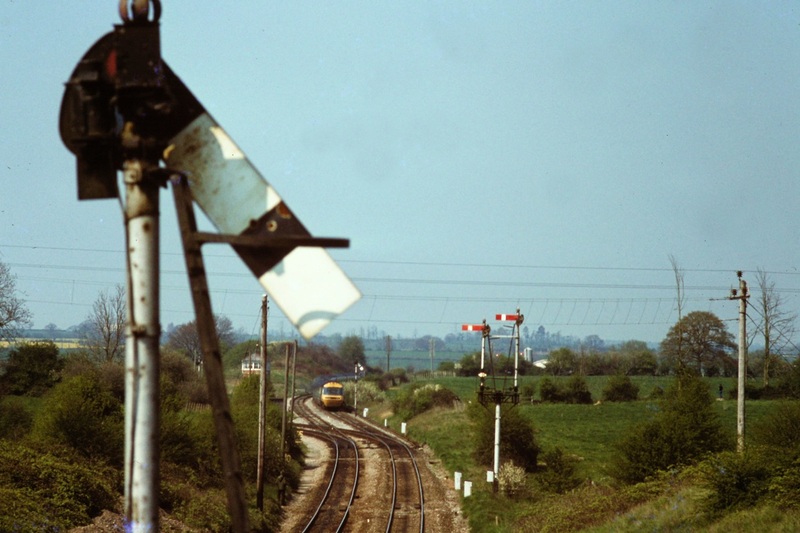 In 1982 BR stated they had no plans to close the Melksham line but, towards the end of that year new signals for the forthcoming Westbury MAS scheme were installed at Bradford Junction giving no provision to access the line. 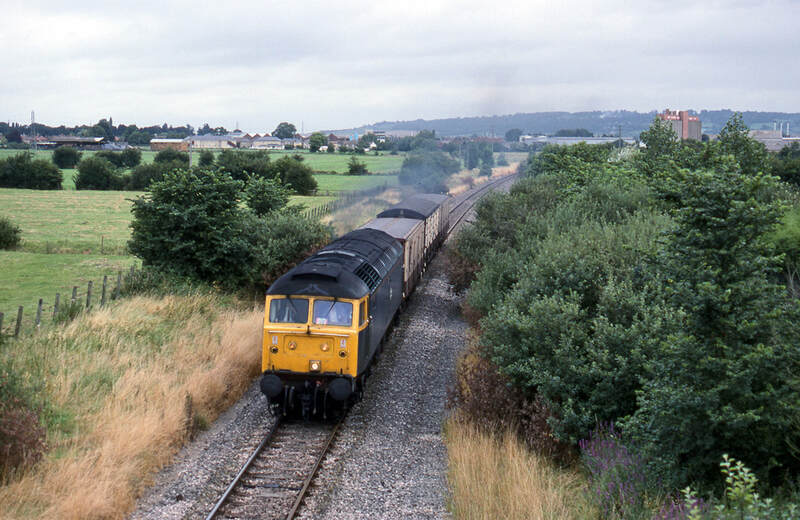 It later transpired that the line would remain open from Thingley Jctn to Melksham (4 miles) where some sidings remained for oil and fertiliser traffic with the remaining 4 miles to Bradford Jctn being taken out of use. 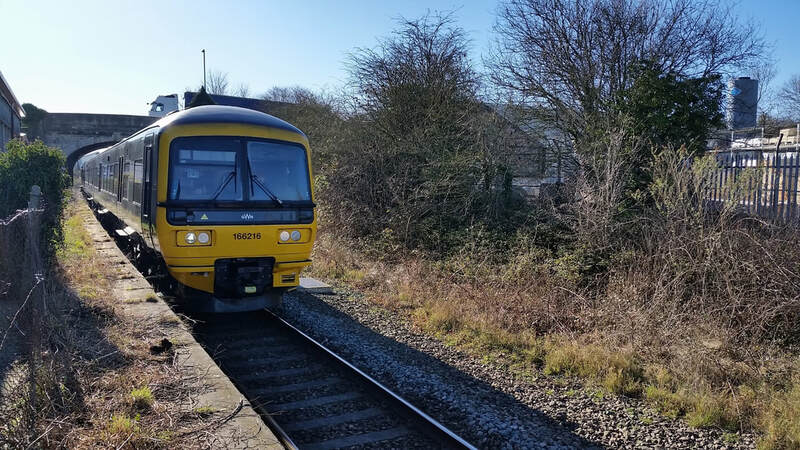 A public outcry resulted and eventually BR relented and decided to retain the line as a through route although it was maintained for several years on a shoestring budget with permanent speed restrictions of 30/40 mph from Melksham to Bradford Jctn. 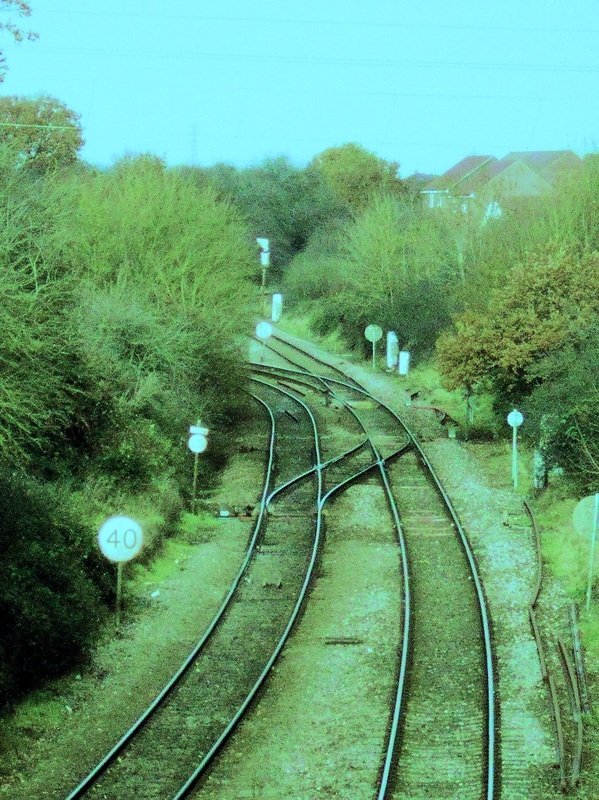 Resignalling did not take place until March 1990, some 4 years after the rest of Westbury panel's area of control was complete and the 4 miles of old worn-out jointed track was not replaced until around 2001. 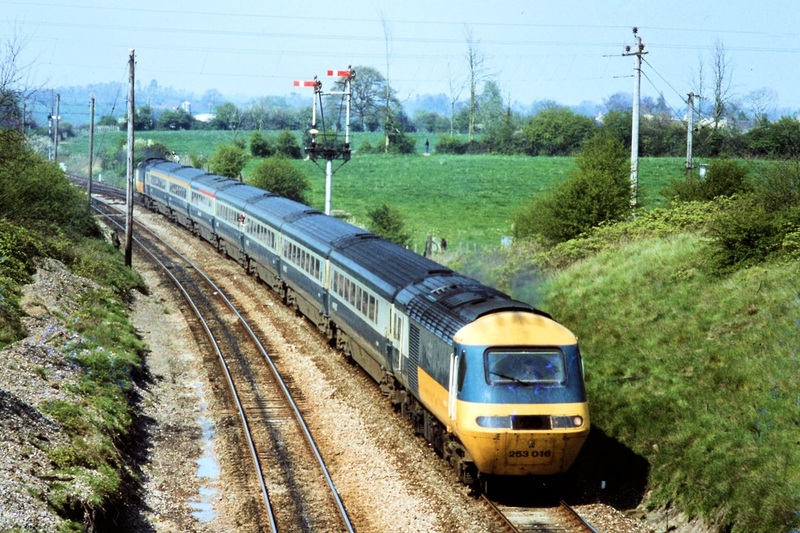 My records show the 'Wizard' calling at Swindon and Chippenham only in 1981, 1982 1983 and 1984 although an unadvertised crewing stop was often made at Westbury. 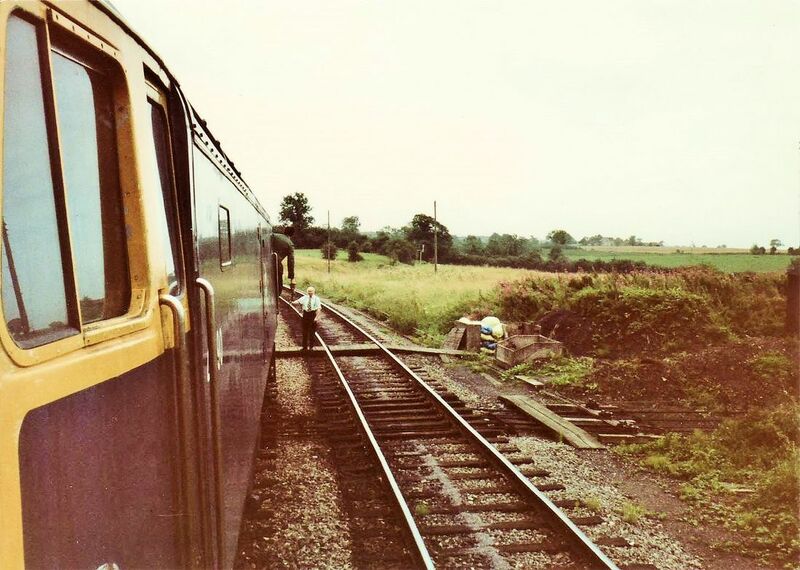 Operational stops were sometimes necessary at Castle Cary, Yeovil Pen Mill and Maiden Newton for token purposes or to await the arrival of another train from the next section of single track. 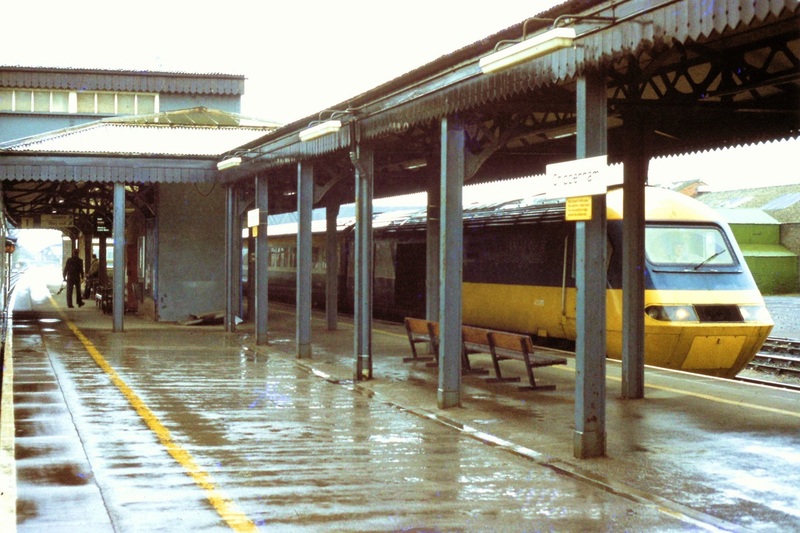 In 1985 the reopened Melksham station was served, 0936 out and 1937 return. 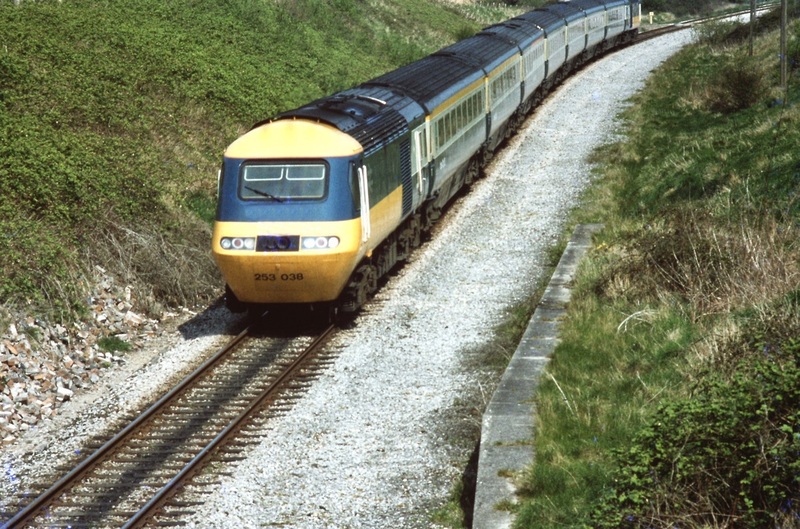 The service was discontinued from 1986 due to the reintroduction of passenger services between Westbury and Swindon with certain trains (DMU's) extended to/from Weymouth. 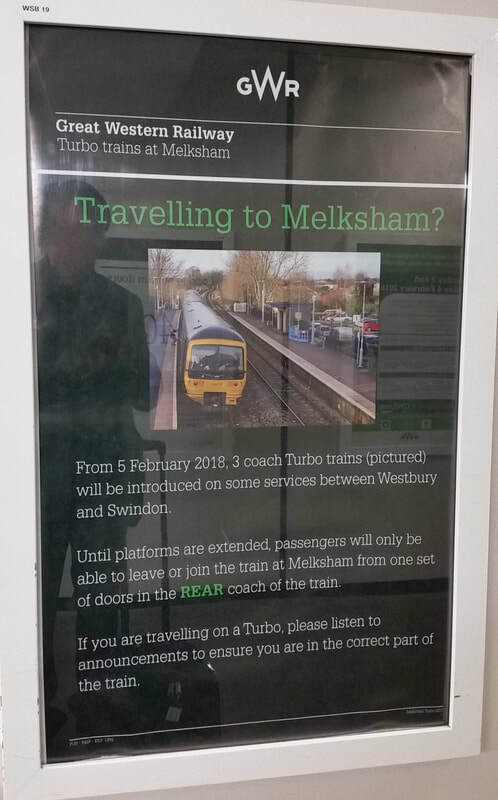 ​Two pictures of the Weymouth Wizard are contained within this section - one at Melksham the other at Bradford Junction. Back of the above handbill - from the Guy Vincent Collection. 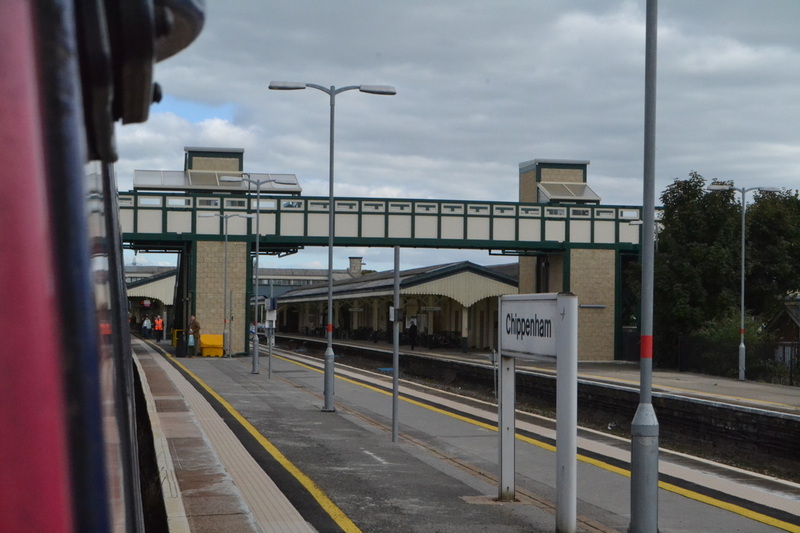 The new platform extension at Melksham station was quickly constructed and brought into use from Monday 2nd July 2018. 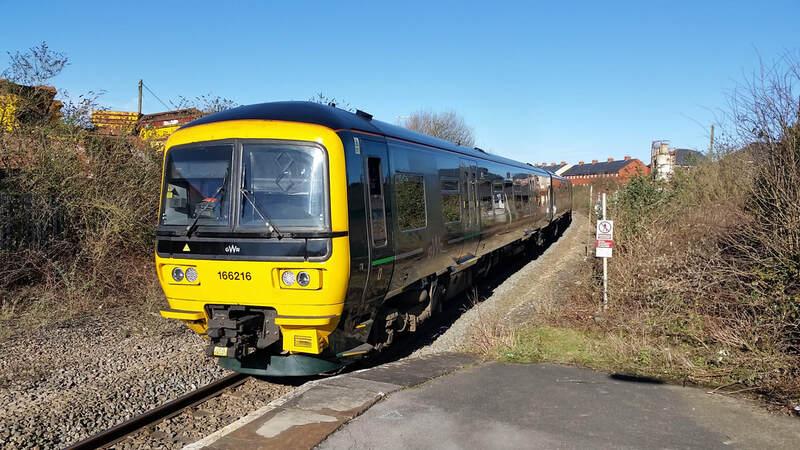 This took less than 3 weeks to accomplish and means that, at last, trains of up to three cars in length can be fully accommodated. 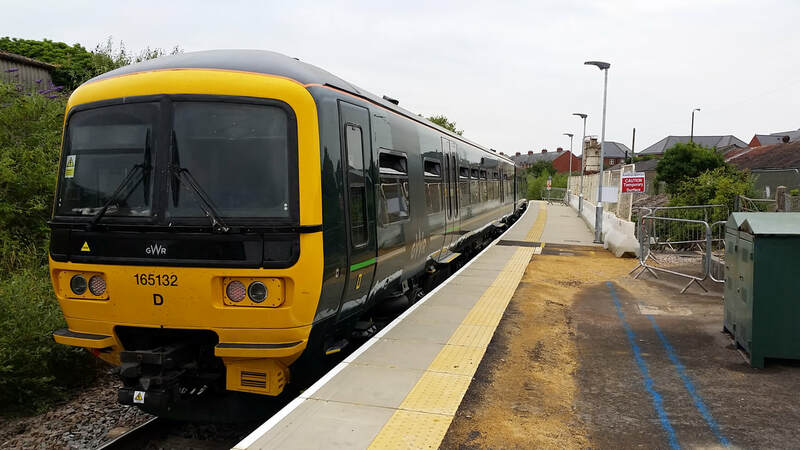 A visit to check on progress on 4th found newly arrived 2-car set 165132 departing on 2M12 1410 Frome-Swindon, these units now being diagrammed alongside their three-car class 166 counterparts. 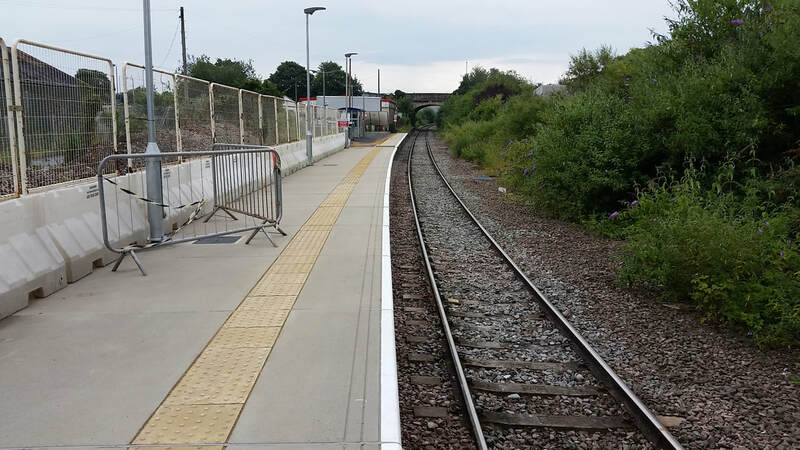 The usable section of the old platform surface has been raised in height with new coping slabs to enable easy boarding & alighting and the track itself has been adjusted and lifted to help alleviate flooding which occurs from time to time. 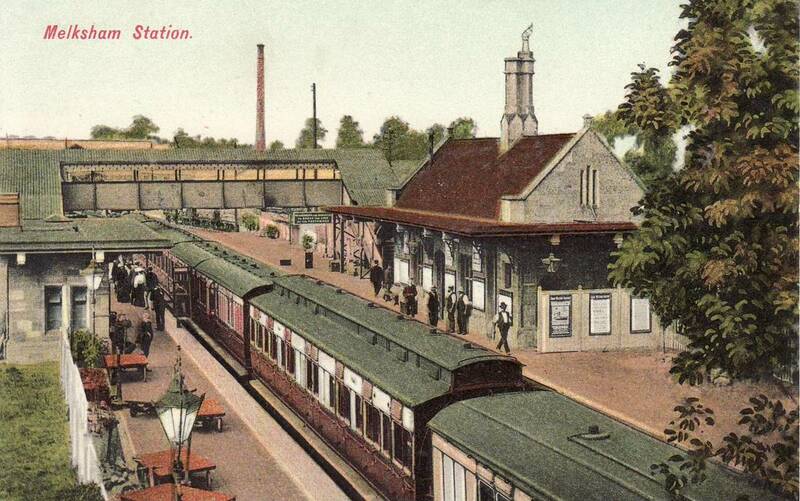 Also included is another 'heritage' image circa 1903 that I copied from a vintage postcard. 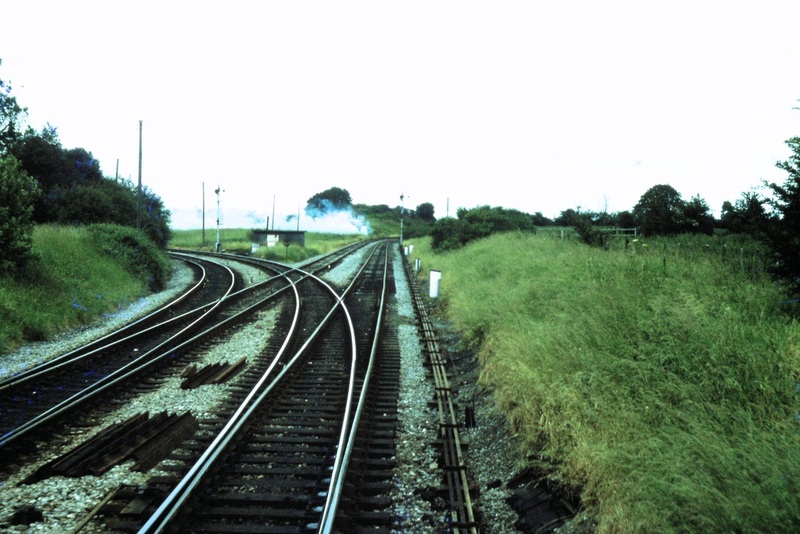 Note the former broad gauge track, now cut and slewed across to the standard 'narrow' 4' 8.5'' gauge, still in place on the up line. 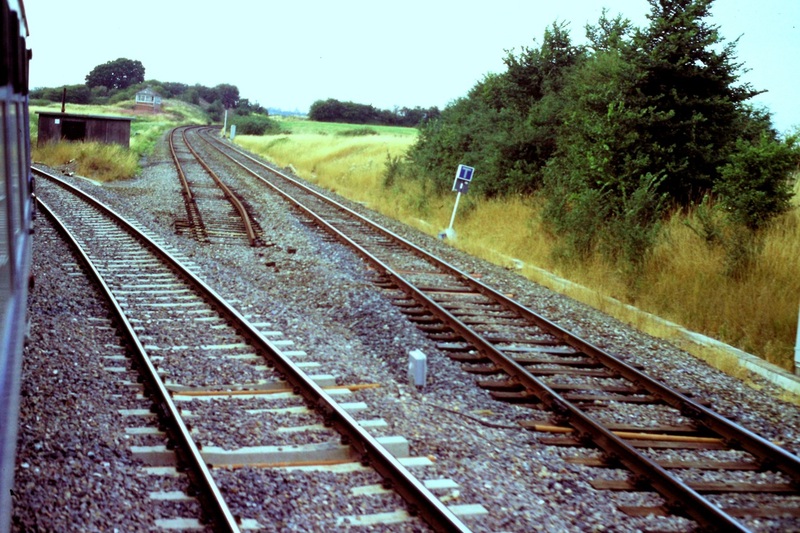 Gauge changing was carried out here in June 1874 so the line lasted really well! 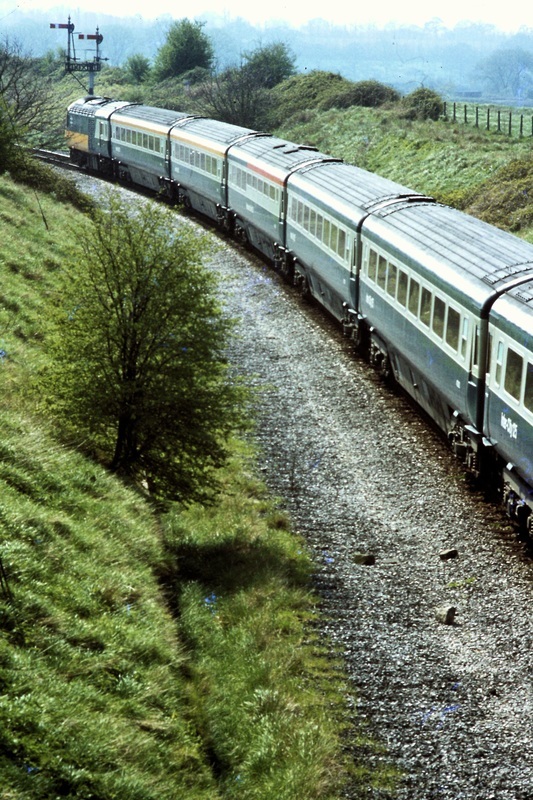 From closure in April 1966 until the latter part of 1968 one passenger train service ran over the line Monday-Saturday. 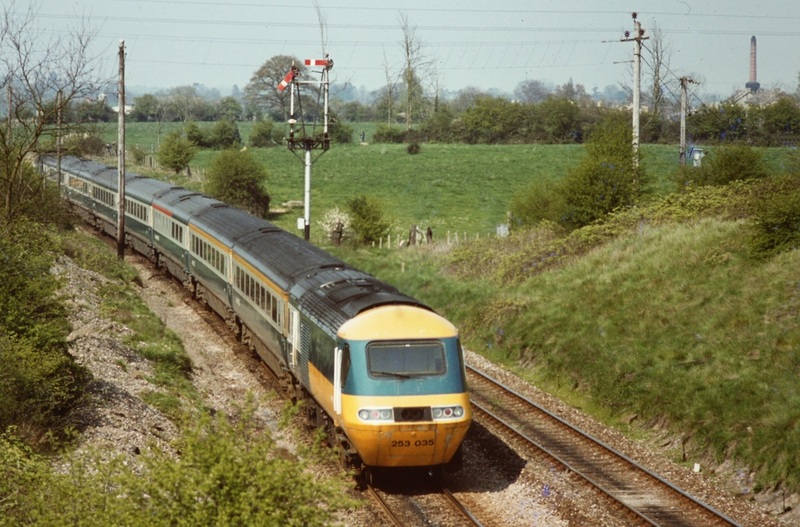 This was the 1455 Westbury-Swindon (2B70 or 2B73) calling at Trowbridge and Chippenham and usually worked by a 'Hymek' pulling a couple of passenger coaches / parcels vans. 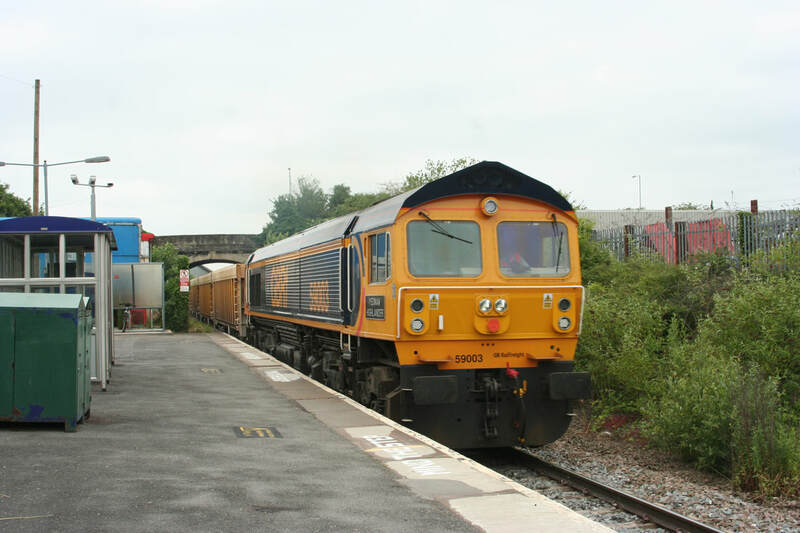 This working kindly identified by Guy Vincent. 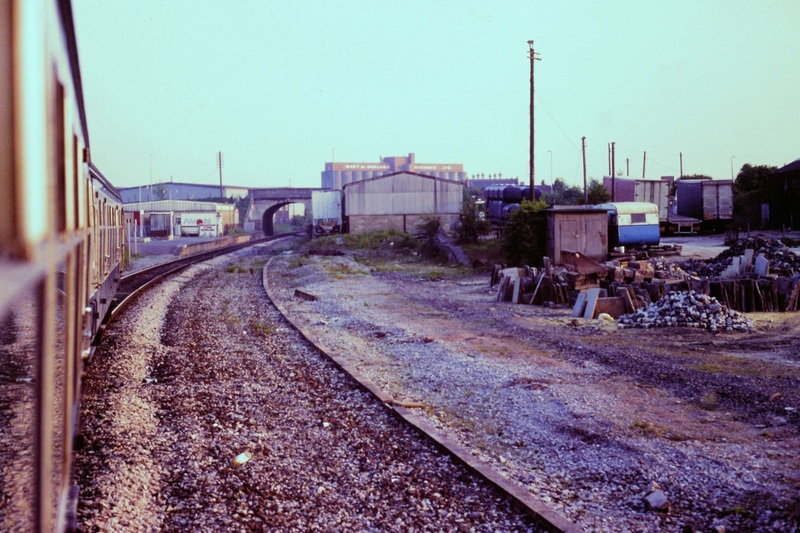 The Beanacre sidings complex was constructed from late 1938 onwards and existed to serve both Ridge and Eastlays underground ammunition depots. 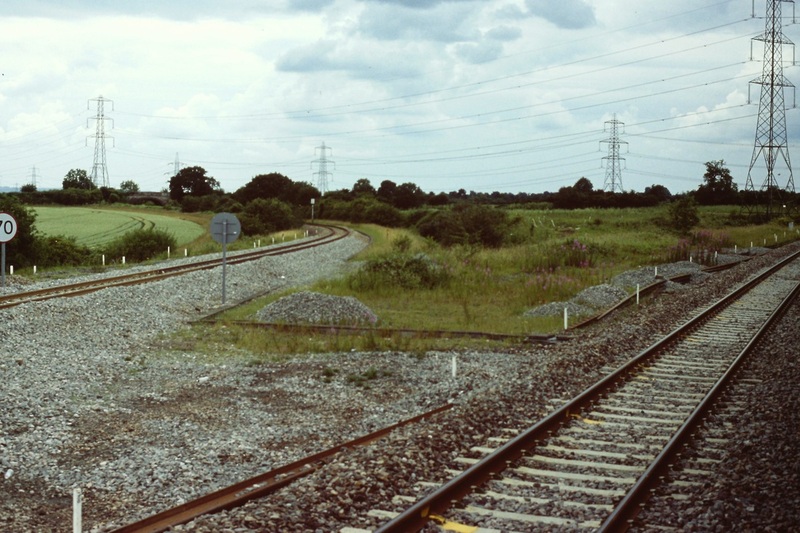 These were located in deep former stone quarries approximately 2 miles to the north of the railway near the village of Gastard. Some buildings were constructed at the Beanacre site in late 1941 as part of an RAF component store but this was never completed (Melksham was also an RAF base from July 1940 until closure in 1965 although the camp was located on the southern side of the town at Bowerhill close to the former Devizes branch which formed the site's southern boundary). Eastlays is now used as a wine storage facility while Ridge has been abandoned. 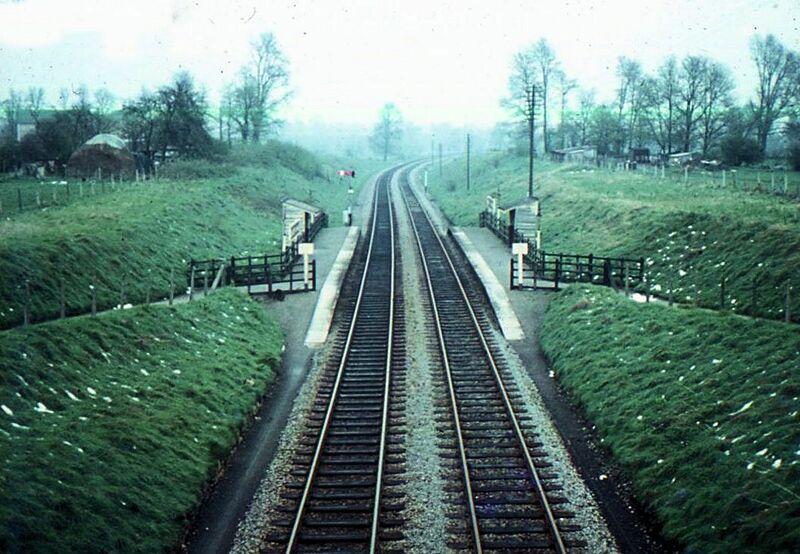 Returning to Beanacre several sidings and an access road were laid with a footbridge provided across the lines. 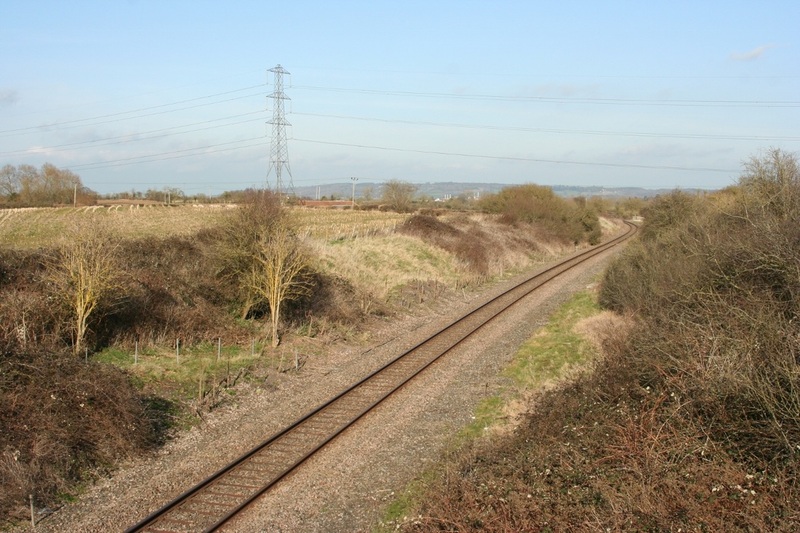 Four pillboxes were located around the perimiter of the site and three still exist with rubble from the fourth easily seen to the east of the single line just to the south of Westlands Lane road overbridge. 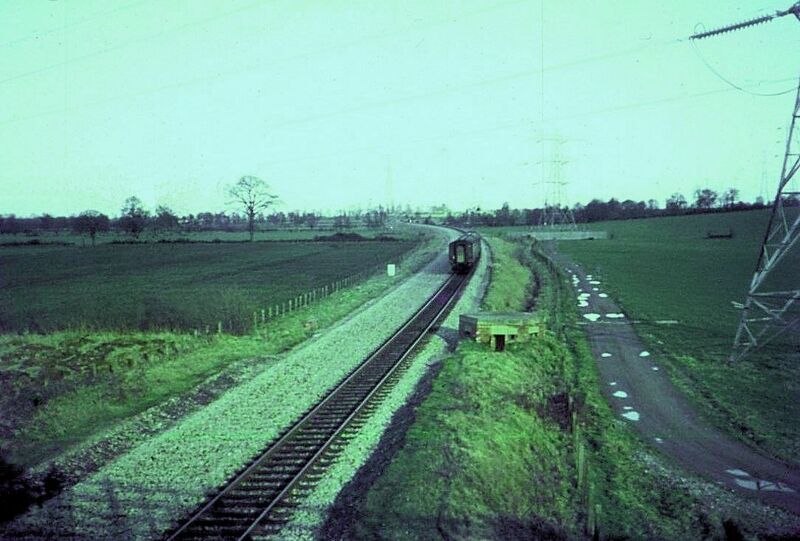 This is the pillbox visible to the left of the approaching Hymek in Keith's 1968 picture. 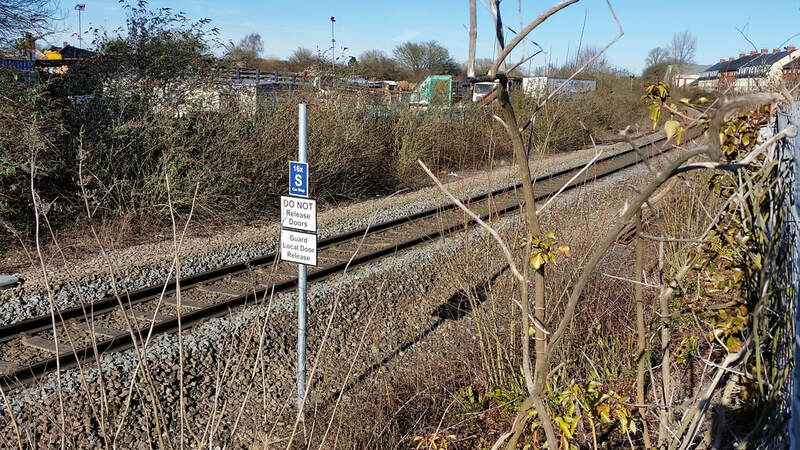 Beanacre sidings were abandoned in 1948 and lifted but the access road is still in place and leads to the National Grid sub station site. 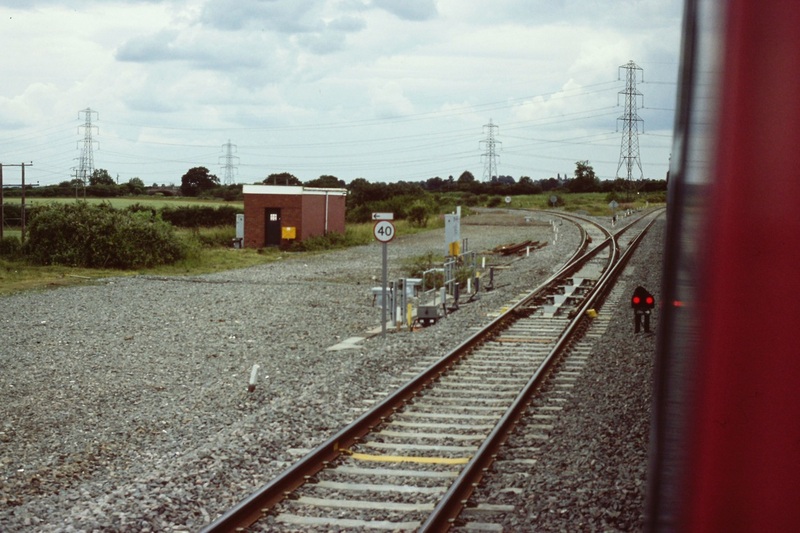 Beanacre Halt was located just to the east of Westlands Lane bridge. 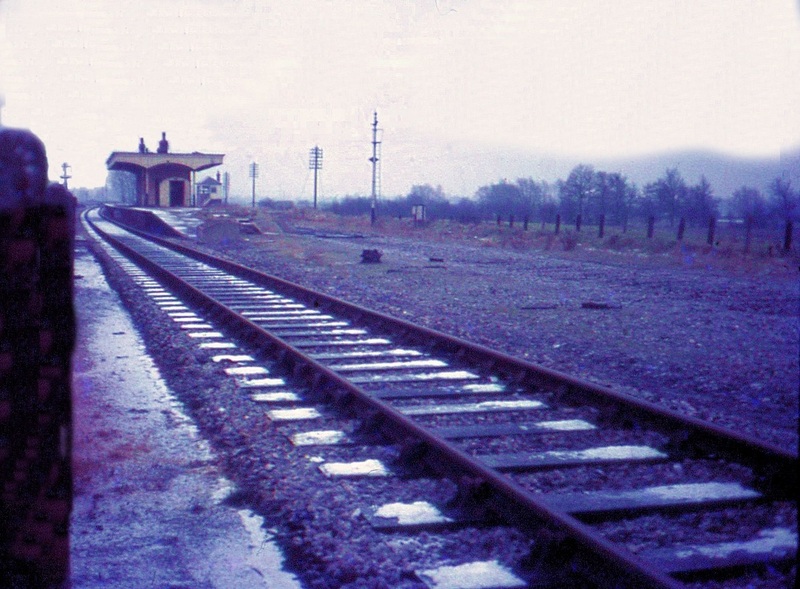 This was constructed from old wooden sleepers and accessed via cinder tracks from the road. 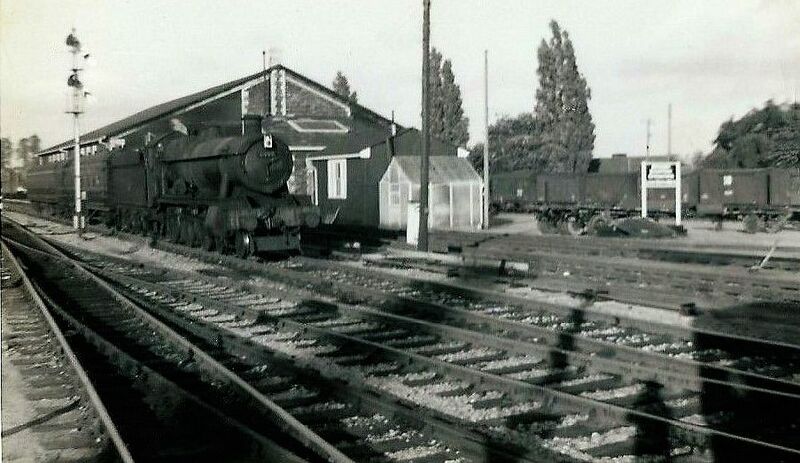 Opened in October 1905 with the introduction of steam rail-motor services the halt was never very well used and closed in February 1955. 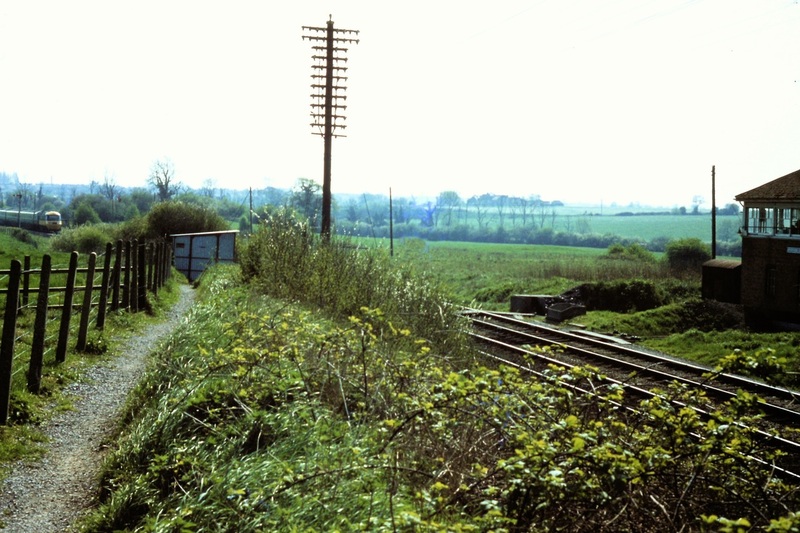 Just under two miles east of Beanacre was Lacock Air Ministry sidings and yard. Opened in 1943, this was larger than Beanacre and closed in 1964. 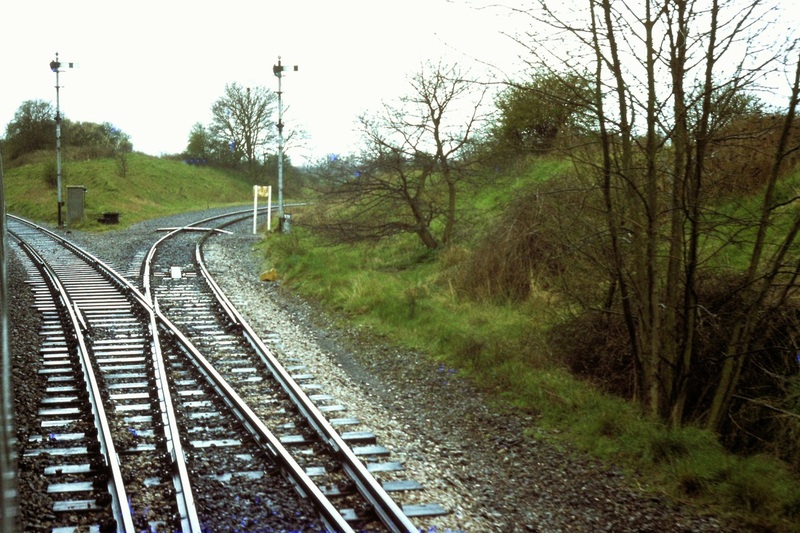 A loop line ran from here to Thingley where a south-west chord was put in to enable through running to/from the Corsham direction. 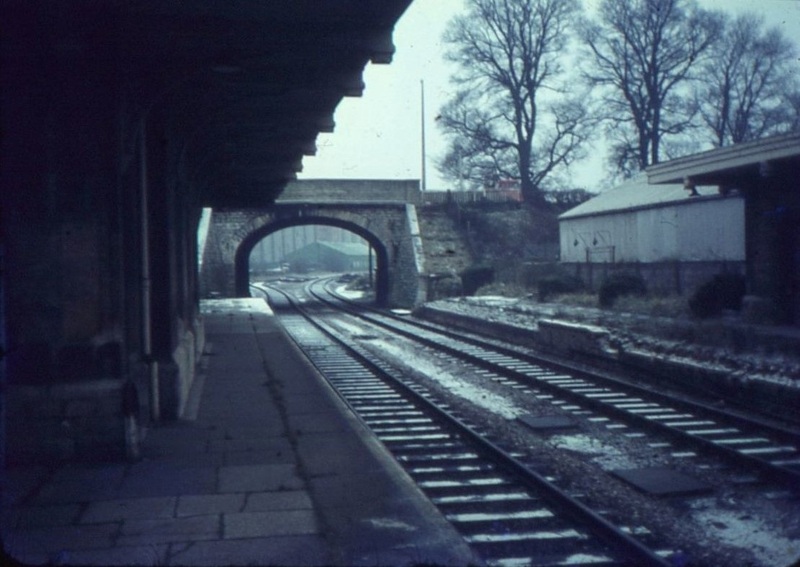 See RCTS 'Mystery Photographs' on the RCTS website (accessible by all, member or not) for many interesting pictures of this area taken in 1966 just before mass closures took place and rationalisation set in. 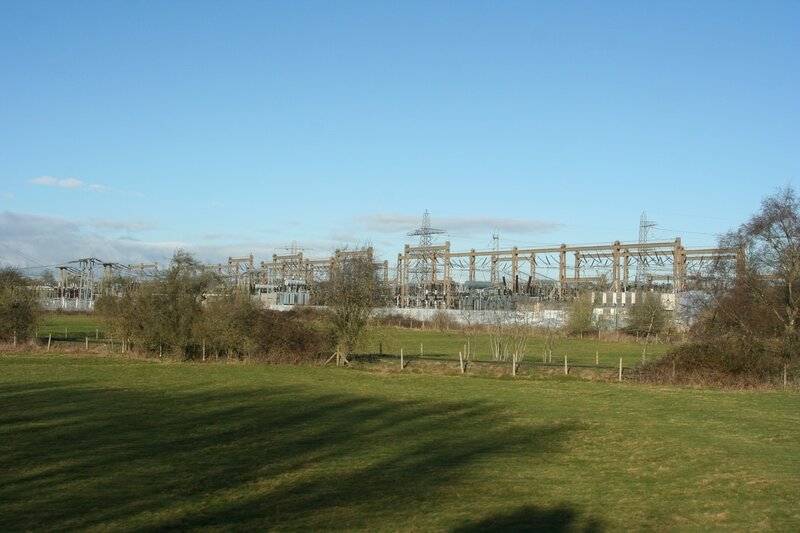 Close to Beanacre is a large National Grid 400 kv sub station. 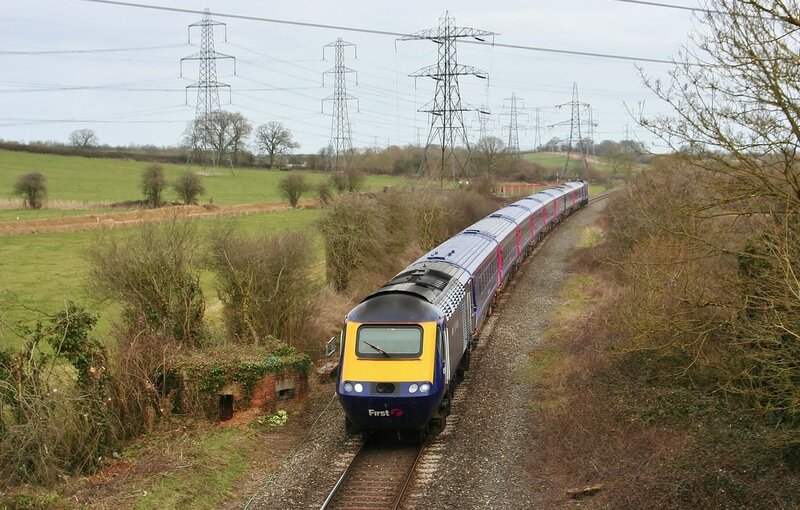 This was first established in the early 1950s and pylon lines radiate away from it in many directions and for many miles. 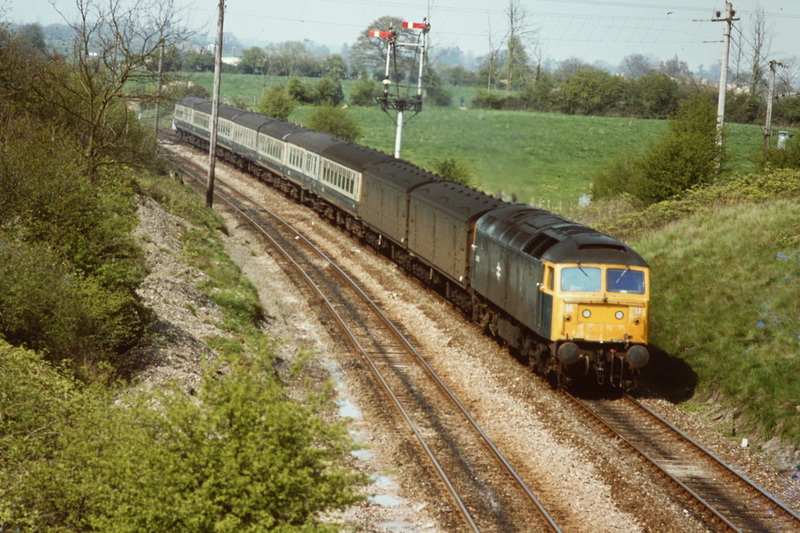 Following the closure of the GEC factory at Melksham in 1988 excess capacity existed here and Beanacre was chosen to supply power to the western section of the Great Western Main Line from Thingley Junction where a 25kv switching station has been provided at the east end of the former up sidings. 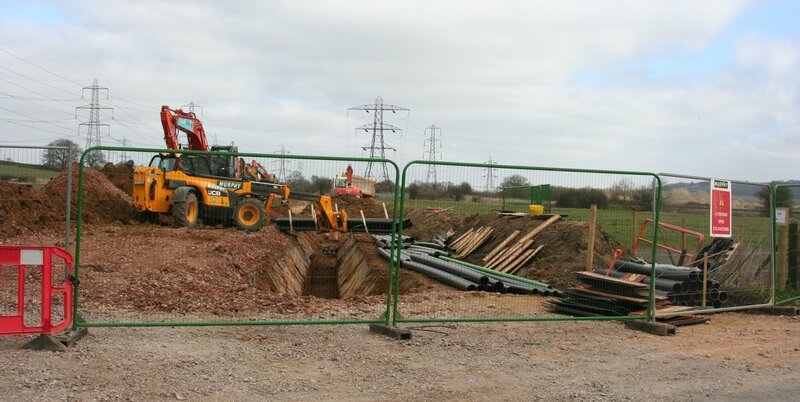 In 2014-15 the Beanacre site was upgraded with new equipment, a large trench was dug across open farmland to Thingley Junction, a distance of approximately 4 miles, and into this several high voltage cables were laid following which the trench was refilled. The Beanacre-Thingley project appears to be complete now with much work still to be done erecting the OHL equipment and wiring before the electric trains can start to run! N.B. 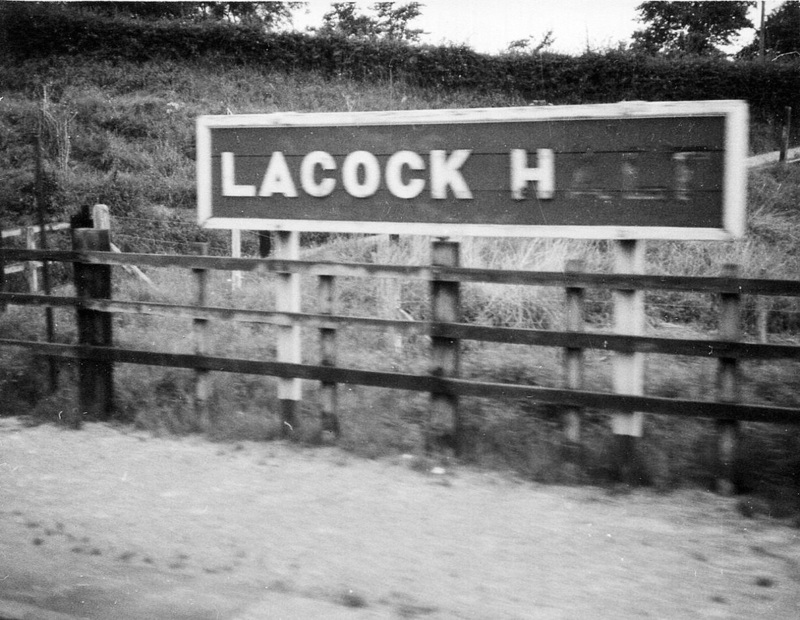 We move forward beyond Laycock to Thingley Junction. 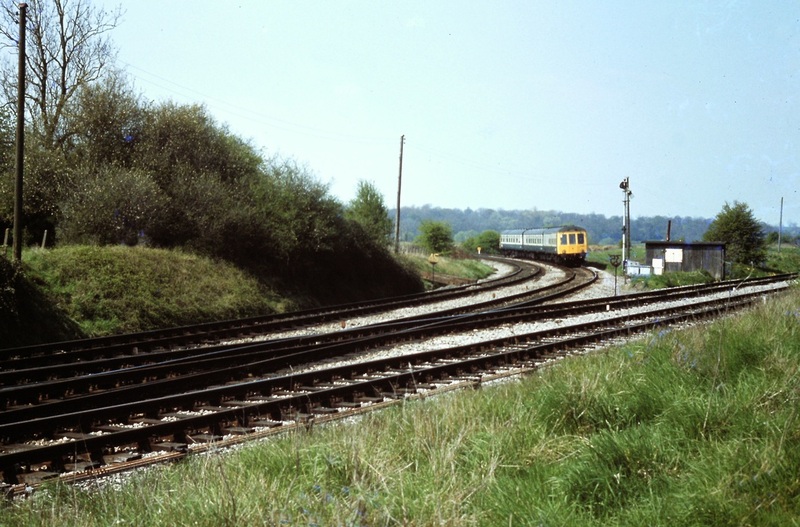 Thingley Junction - Junction with the main London - Bristol, via Bath line. 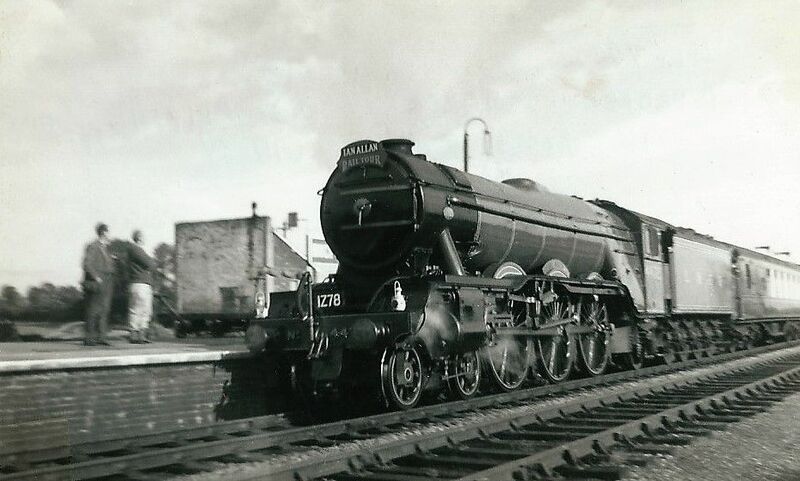 By November 1965 steam haulage was getting pretty rare anywhere on the Western Region of British Rail and a special train headed by 7029 Clun Castle was heralded as 'The last steam train Paddington to Bristol'. 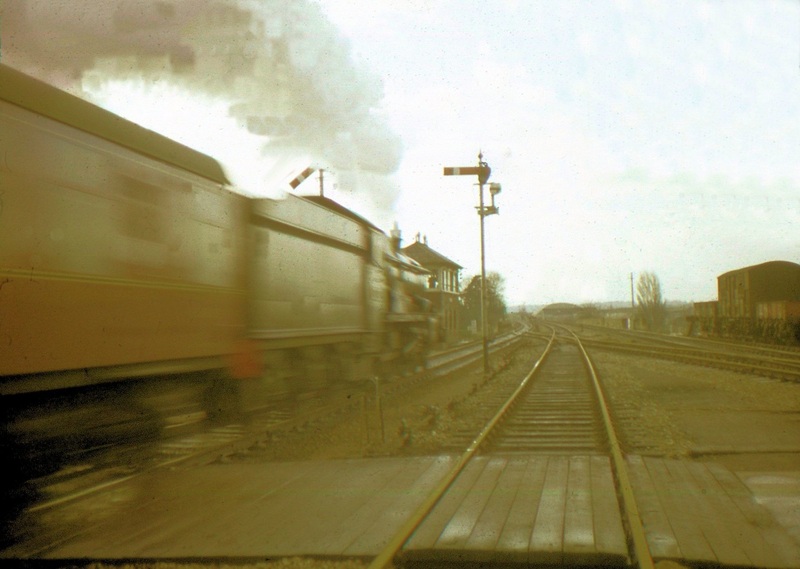 Seen here on the 27th November 1965 rushing through Chippenham. 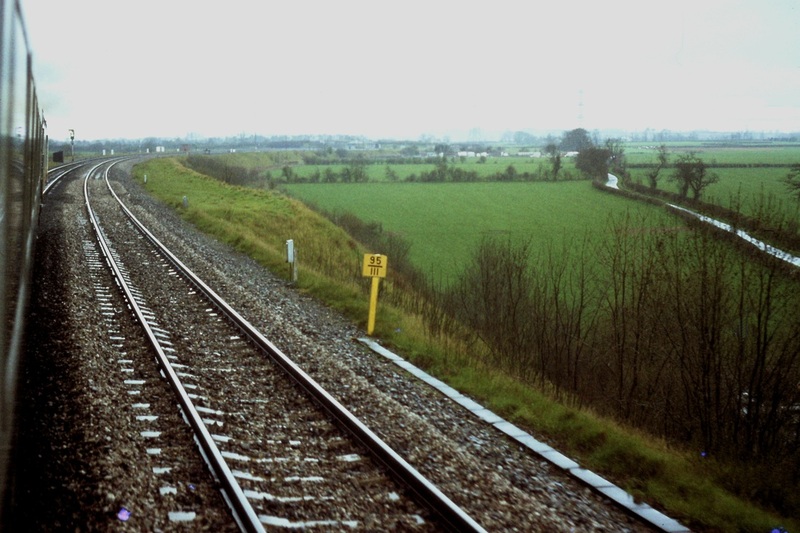 The former down platform has since been taken completely out of use with the bay platform from which this photograph was taken made into a through line as the current down main.